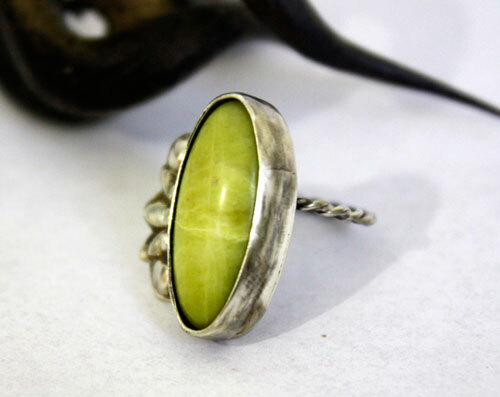 The green oval aventurine of this ring reminded me tropical and lush vegetation of Indonesia, a country that attracted me. 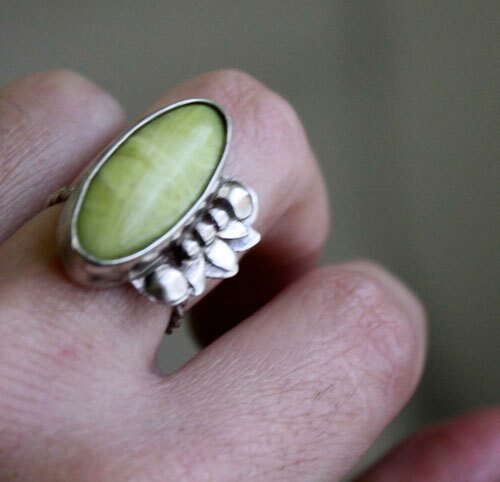 Therefore, this ring refers to the abundant vegetation and green landscapes of this country. 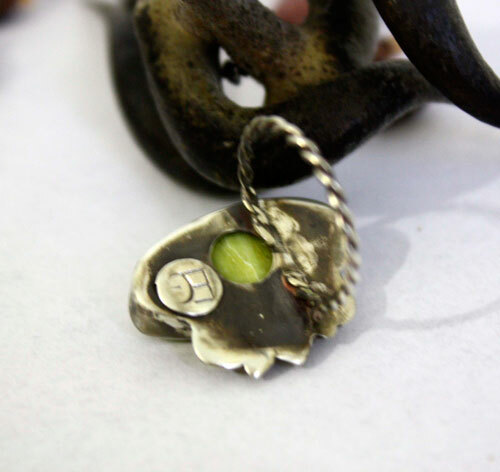 Hijau is composed of small details that I soldered on a silver sheet with floral and plant patterns. On one side of this elongated stone, I cut a plant pattern with large leaves, which I then dressed of small cut leaves and silver balls. These are references to fruits and seeds abundant in these tropical forests. The ring is made of delicately twisted silver wire. It evokes lianas hanging from trees. 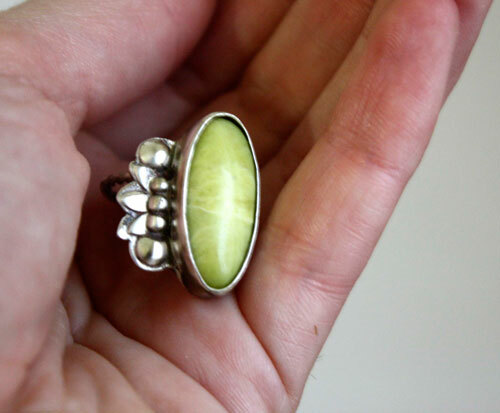 The back of the ring is pierced with a circle to see the underside of the aventurine. I named it hijau, which means green in Indonesian. The ring is a large 5 US size. If you’d like the same ring but in a different size, feel free to convo me for a special order (also according to what kind of stones I still have in my stock). 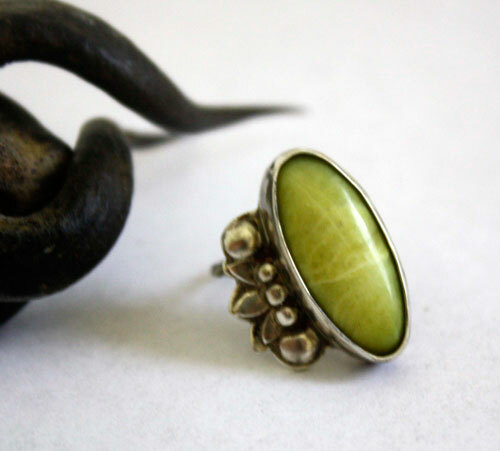 Tag: ring, oval, sterling silver, 925, unique, cabochon, aventurine, yellow, green, lemon, romantic, pastel, flora, plant, round, gift, valentine’s day, mother’s day, birthday, forest, tropic, tropical, jungle, liana, abundance, lush, vegetation.